Attending a home school curriculum fair is a great way to find new resources, look through materials that interest you, and save money on purchases. Here are some tried and true tips for navigating a homeschool book fair. As a self-proclaimed homeschool curriculum junkie, I can't resist home school book fairs. I love discovering new resources, thumbing through materials I've read about online, and talking to authors and publishers about their products. Purchasing materials at homeschool vendor fairs has allowed me to build relationships with the individuals who produce and sell materials we use in our home. It's also a great way to receive discounts, and save money on shipping. Follow this link to find out where you can find homeschool curriculum fairs in your area. Below are tips for navigating and preparing for a home school vendor fair. The first step in planning for a home school curriculum fair is to make a list of needs for each child. Don't forget to include supplies for subjects like science and art, as well as games and books for your children. Spend time looking through catalogs and websites of vendors who will be at the fair, and make a list of specific products you want to view. Make note of the lowest price you can find for those products, along with any questions you want to ask, and bring your notes with you to the event. Here is a free printable checklist you can use to plan your purchases. Here's a list of stores that sell discount homeschool books that you can use to check prices. Work with your spouse to set a limit for how much money you will spend at the conference, leaving a reasonable amount of room in your budget for unexpected finds. It sometimes helps to only bring along the amount of cash you are willing to spend. 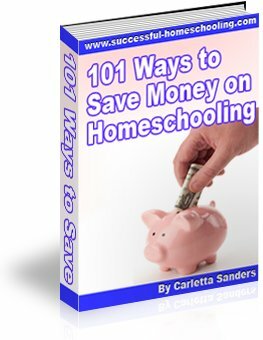 Here are some additional tips for affordable homeschooling. Take time to read conference rules and guidelines. Some home school curriculum fairs welcome the whole family, while others encourage parents to leave children at home. In addition, due to space limitations, many book fairs do not allow strollers. Wear comfortable shoes, and bring a tote bag, back pack or rolling luggage carrier, if allowed. Don't forget to pack a notepad, pen, calculator, water and snacks. Review the site map, and make note of the locations of vendors who sell products that are on your list. Visit these booths first, then make your way to other tables. Bring a sheet of return address labels that you can use to stick on forms when entering drawings or placing your name on mailing lists. Although it's wise to be cautious when giving out personal information, many vendors only use these list to send catalogs, coupons or information about post-conference specials. Be courteous. Wait patiently when a salesperson is helping another customer, and be aware of how much time you spend when it's your turn and others are waiting. Reward good sales personnel by purchasing directly from their tables. I will sometimes spend a bit more to purchase products from family-owned businesses and vendors who provide good customer service. When making decisions about which products to purchase, consider the company's return policies and ongoing levels of support. During a two-day event, spend the first day looking, and make purchases on the second day. Don't feel pressured to take advantage of event specials. You are not truly saving money if you purchase materials you'll never use. Keep the catalogs of companies who sell products you like, making note of materials you may want to purchase in the future. Bring a little something home for the kids! I usually like to buy an inexpensive book or activity they can use right away, just so they know I've been thinking of them. Homeschool book fairs are often a part of larger events and conventions. You can follow this link to find tips and ideas for navigating homeschool conferences.